The view from the switchbacks coming out of main canyon on the way to east Zion are amazing. While driving up the side of the mountain, their are still spectacular cliffs towering over the road. Here is a view of the East Temple, taken from a pullout on the switchbacks. 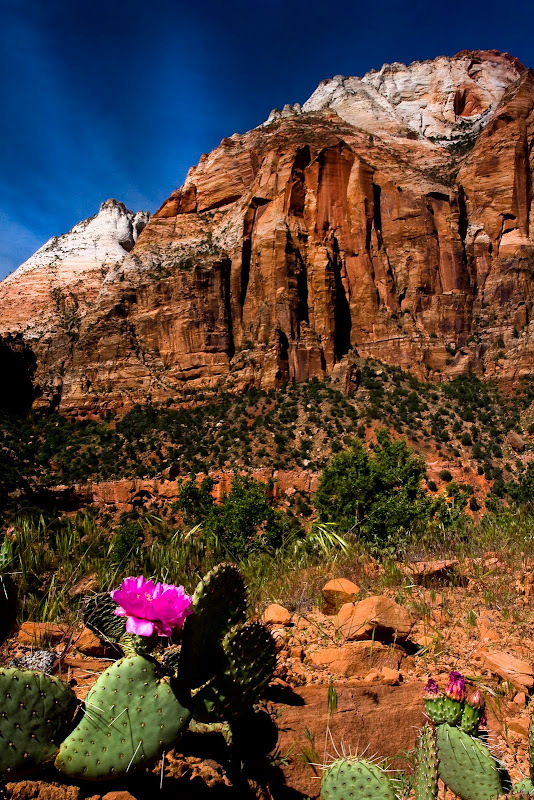 With the cactus plants blooming, it was a lovely day to enjoy the views in Zion.